I know so many friends who had a Silhouette on their Christmas wish list. Were you one of those? Did Santa bring you what you wanted? 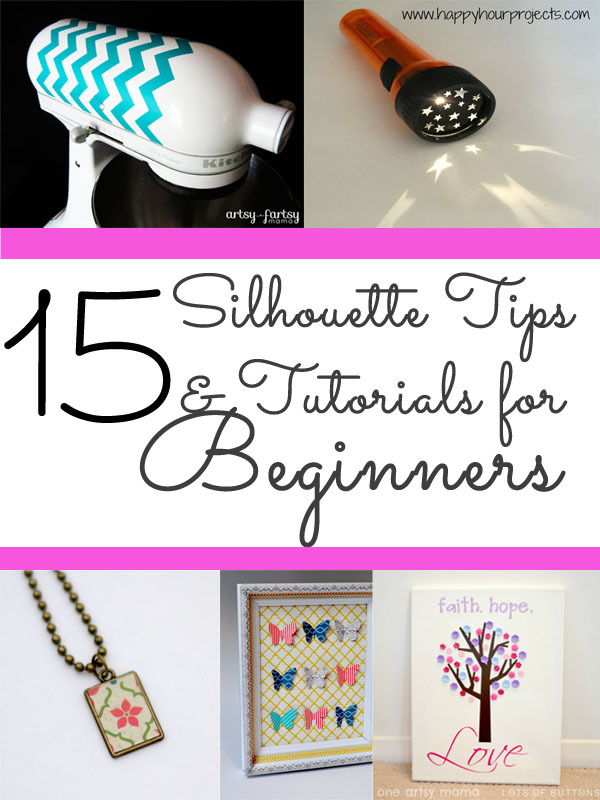 If so, here are 15 Silhouette Tips and Tutorials for Beginners to get you started with your new toy! 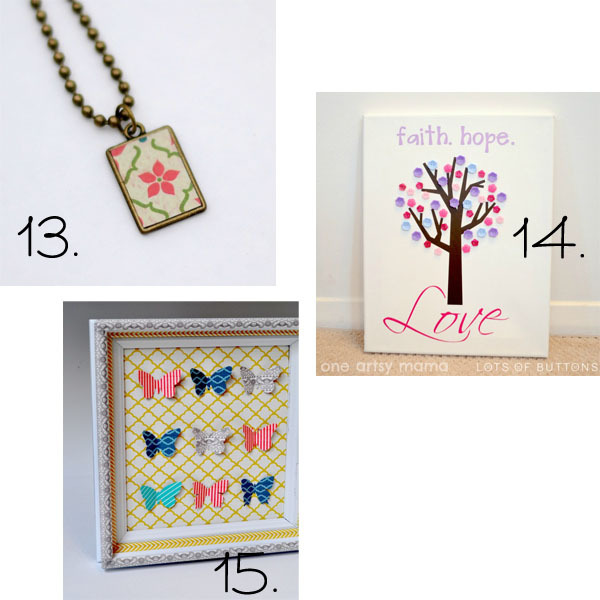 Read on for a few projects to get started with your Silhouette. I’ve also included two Silhouette software tips- How to Size a Shape and How to Turn an Image in Photoshop to a File that can be used in Silhouette Studio. 1. 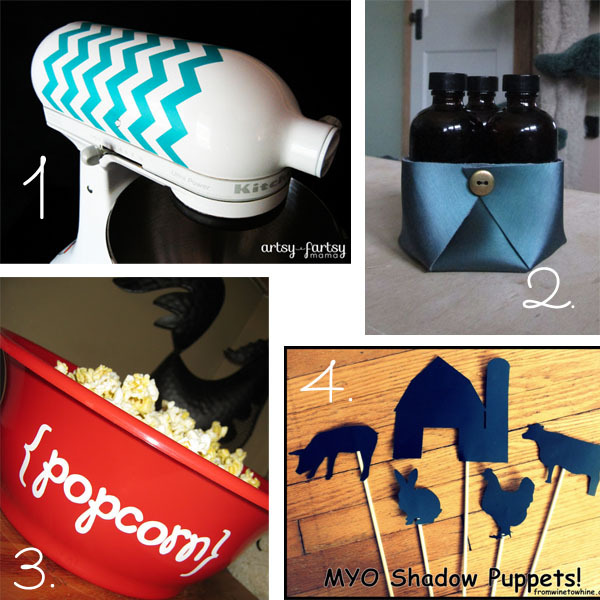 DIY Kitchenaid Decal from Artsy Fartsy Mama- Spruce up a KitchenAid Mixer easily. 5. Glitter Monogrammed Pumpkin from UnOriginal Mom- This tutorial demonstrates how to easily use Double Sided Adhesive Sheets. 7. DIY Circle Earrings from It Happens in a Blink- Uses Silhouette Chipboard to create custom jewelry. 8. 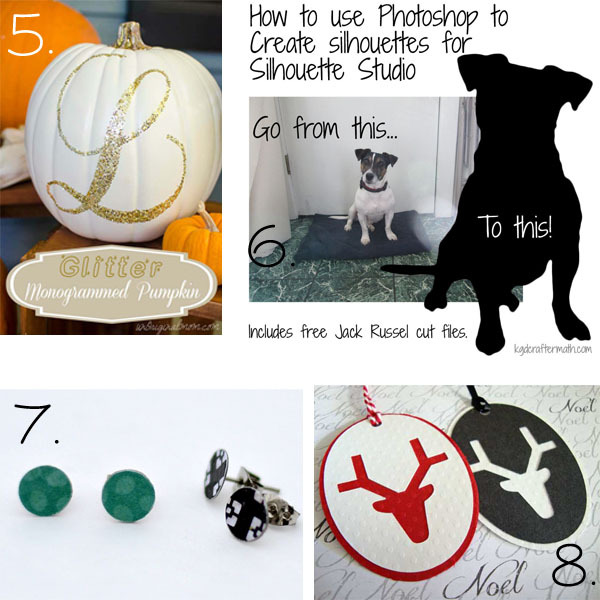 Fontastic Reindeer Tags from Get Silvered- Demonstrates using WingDing fonts for projects. 9. 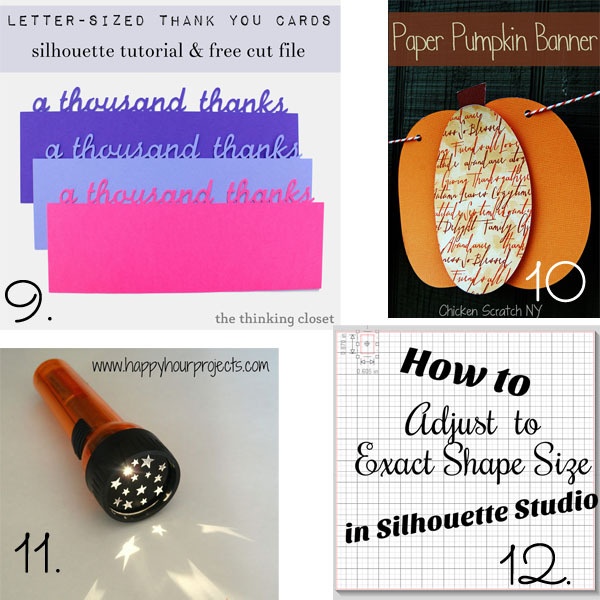 A Thousand Thanks Card from The Thinking Closet- This post also includes a free file! 10. Paper Pumpkin Banner from Chicken Scratch NY- Great project that demonstrates how to ungroup objects. There should be enough inspiration here to keep ya’ crafting for a few months! Thanks so much for the feature! I love the other projects you have here as well. Great roundup! Pinning this this very minute! My new Silhouette from Christmas is still sitting on top of the box, yet to be even plugged in… intimidated much? Thanks for all these great links, hon! Thanks for the feature!!! What a great compilation of projects you have here!! Love the flash light idea! You could make a different character for each kid and they could tell stories on the wall!